A new car is probably the second-most expensive purchase that you will make in your life, so it makes sense to do your research so you can make an informed decision. Luckily, there are more attractive options than ever before at Rivertown Buick GMC, and we're committed to helping you find a vehicle you love. 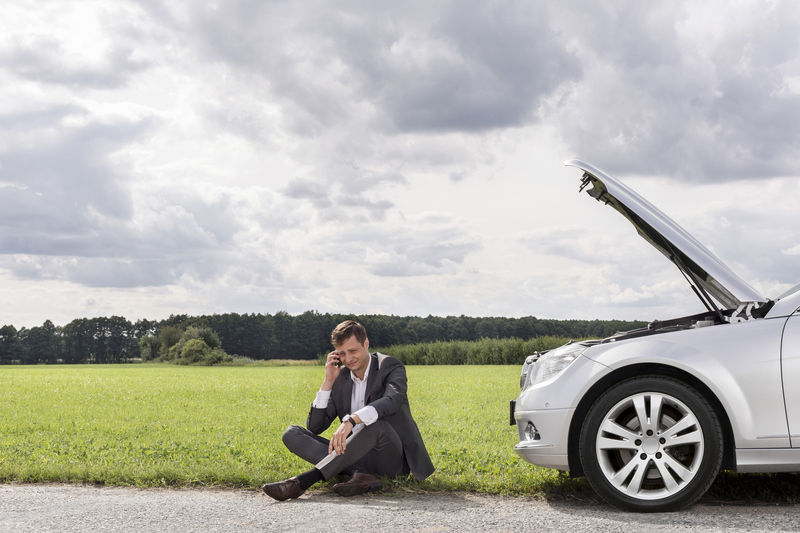 However, sometimes there’s also an emotional connection with your current vehicle that can be hard to break, even if it's costing you in the long run. What are the signs that you might be in this position? Find out with this helpful guide. 1. You consider duct tape a car part. So many knobs, buttons, and panels are held together with the stuff that you are single-handedly keeping the duct tape manufacturer in business. Things are really bad when you have to scream hysterically at anyone who starts to pick at the piece of tape holding the passenger door together. 2. Your Madonna tape is stuck in the cassette player. Remember that cassette players probably fell out of production well over ten years ago. Compact discs have come and largely gone in the time since you last bought a vehicle, and what’s more, Madonna has been married, divorced and now has a grown-up daughter. It’s time to move on! 3. You cannot remember the make, model, or original color of your car. It went out of production so long ago that even your dealership has to call its corporate office to find out the model number and, once ordered, parts take several months to come from the factory. 4. Your children no longer have enough leg room in the back of the car. It’s time to find a vehicle that has more space, and that isn’t inadvertently stunting your kids’ growth. 5. Your car keeps getting towed away for scrap. What’s more, it’s likely that you get constant dirty looks from everyone else on the road, thanks to the belching smoke that comes out of your exhaust. 6. You have worn out all the pages in your road map. Navigating with a map is hard enough as it is, but when the print has literally worn off, you might need to consider investing in something a little more up-to-date. GPS and satellite navigation systems don’t wear out and they don’t become out-of-date thanks to a new highway. 7. It was flooded. As much as you might love your car, you will never be able to get rid of that damp smell, and you can’t be entirely sure that the whole chassis isn’t rusting and rotting from the inside out. That tide mark on the rear passenger seat looks rather unsightly, too. 8. When your car spends more time in the repair shop than on your driveway, it’s time to consider the alternatives. Unreliable cars aren’t just irritating. They can be dangerous, too, and as the car gets older, the cost is just going to escalate further and further. It’s time to go car shopping. 9. The check-engine light bulb needs replacing monthly. Remember that this is supposed to be an occasional warning light, not a means for illuminating the map that you are holding in one hand. Clearly, your car maintenance schedule can’t cope. 10. When you get the fuel bill at the gas station, you generally need to be resuscitated. Older vehicles consume fuel at a much less efficient rate, and unless you’re a multi-millionaire, you almost certainly want to spend that money on something else.